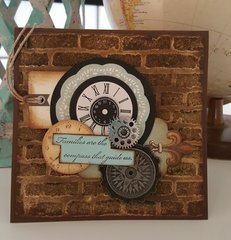 Achieve vibrant color effects on your porous surface mixed media projects with the Distress Crayons Set #10 by Tim Holtz for Ranger Ink. These smooth and water reactive crayons are perfect for your vibrant background, watercoloring and smudge effect projects. 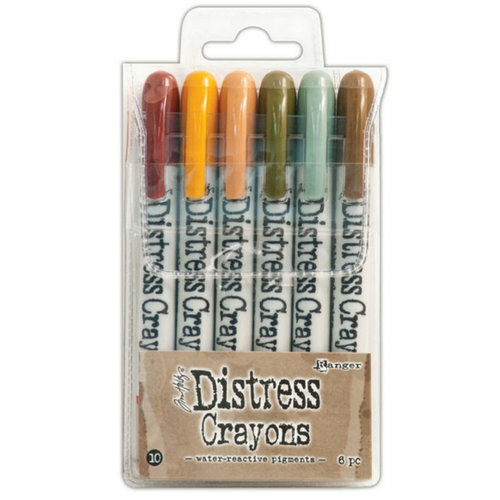 The package contains six neutral color distress crayons (Aged Mahogany, Wild Honey, Tea Dye, Forest Moss, Iced Spruce and Gathered Twigs). 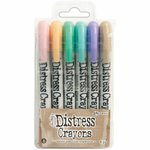 I have several different sets - like the ease of using these distress crayons, the portability, and the options they present. Absolutely love the colors in this set - they are rich, yet not overwhelming. They blend easily and are versatile. 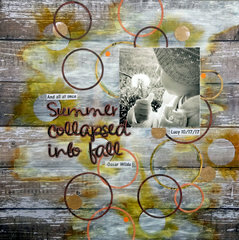 They lend well on autumn, animal, zoo, nature, camping, and so many more project themes. So far I have all the sets that are out and am happy with all of them and the colors available so far. 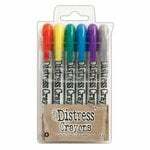 I bought my first three sets of Distress crayons at theNovember2017 Carson Convention. I experimented with them right away before seeing any demos beside the one at the convention. Since then I've watched Tim demo these amazing crayons and I can't stop playing with these yummy colors. 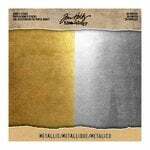 Tim has created the perfect hybrid of dye ink transparency and pigment ink opacity with the surprise of water reactivity! 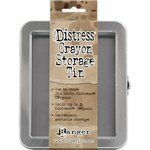 As usual, Tim has thought of everything and has the perfect container tins to hold these crayons. I had to buy a second tin with this last round of sets! Start playing and you'll find they are addictive. 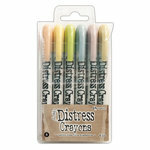 These watercolor crayons have great pigment! 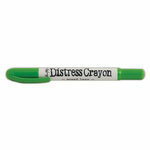 This is my second order of this particular color batch of Distress Crayons. I have several other sets, but for this season, these are my favorites. 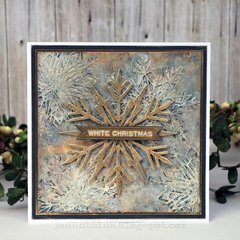 I've used them to produce all my Christmas cards, Christmas ornaments and gifts for friends, and more. I love these colors. My only complaint about the Distress Crayons is that, for the colors to truly blend and work well together, you really must put down a layer of gesso on your ground first. I've used them with a range of surfaces and types of papers; if you don't gesso first, you don't get good blending, nor do Baby-Wipe color-removals work nearly as well. what kind of ink in the little tubes is the lady using to smear pain in bible journaling? By: ehmartin (16-Jun-17) Helpful Question? Yes | No Thank you! Report Inappropriate This question has been reported. Thank you! 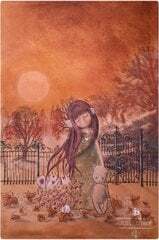 They are like very soft crayons and you color with them and then apply water with a paint brush and the colors are water activated as you brush the colors around like you are using water color paints. By: Wendell (18-Jun-17) Helpful Answer? Yes | No Thank you! Report Inappropriate This Answer has been reported. Thank you! 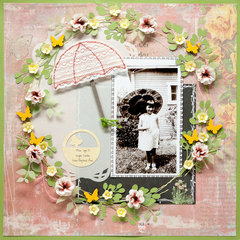 How do you use the Tim Holtz distress crayons By: User (16-Jun-17) Helpful Question? Yes | No Thank you! Report Inappropriate This question has been reported. Thank you! You can you them in several ways. You can apply them directly to your project, and then add water. 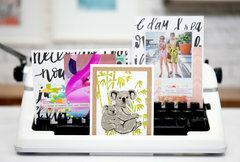 You can also apply some to an acrylic block and use them like watercolors. There are several tutorials on YouTube. By: csimes (18-Jun-17) Helpful Answer? Yes | No Thank you! Report Inappropriate This Answer has been reported. Thank you!